It all started when I was a kid my dad had a 1987 Astro that he mildly worked over. It had a Stillen bodykit, Konig Rims, Custom Paintjob, flowmaster exhaust and was dropped. He had it for 14 years and we took trips all over the east coast without a hitch. 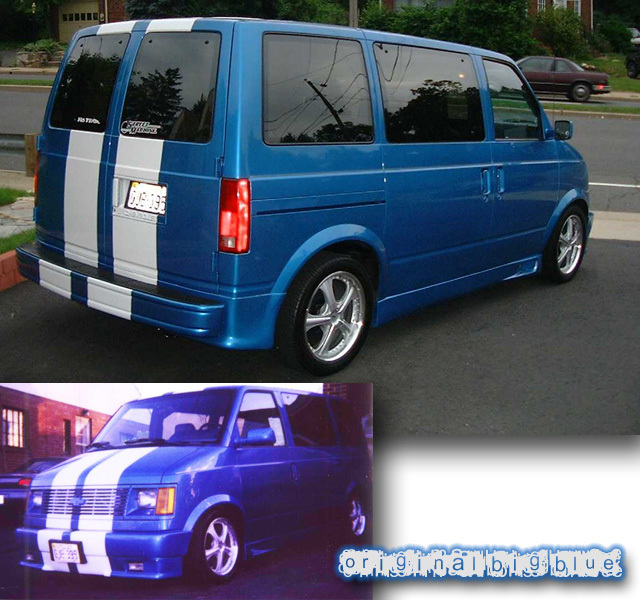 When I finally got heavy into playing music and bought a house I knew my Mustang would be too impractical so I started looking for a van. 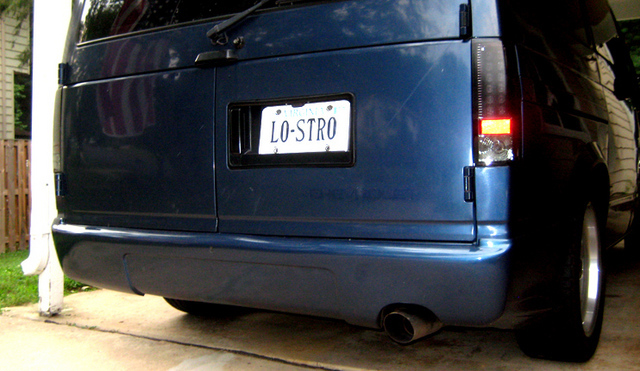 A few months later I stumbled upon a 1998 Astro Awd that only had 32,000 miles on the clock. It had been used as a government transport vehicle in Washington, D.C. 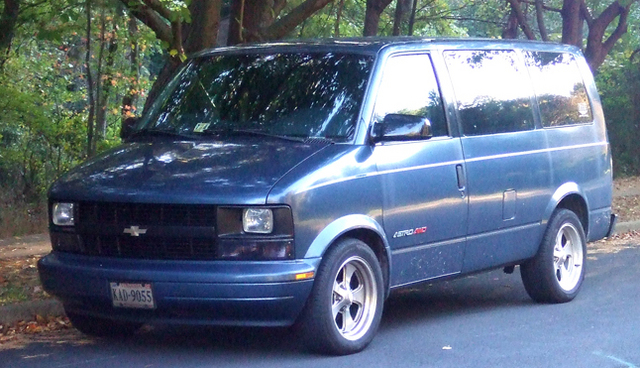 The van was bone stock, steel wheels, untinted glass, no power windows, or cruise control. I figured it was less stuff to break, and the deal was made. Even though the van had low milage the suspension was pretty worn. So first up was to replace the idler arms and shocks. Within the first week the car had a new headunit, tinted the windows to 5% in the rear, and 40% in the front, and Bilstein shocks made there way underneath. Next came the first set of wheels which where 17” Boyd Coddington wheels I found for a steal. So with the band we started touring up the east coast from D.C up to Connecticut. The van was great as we could still pack a 4 piece band and still have room to have a middle seat in with all the gear in the back. 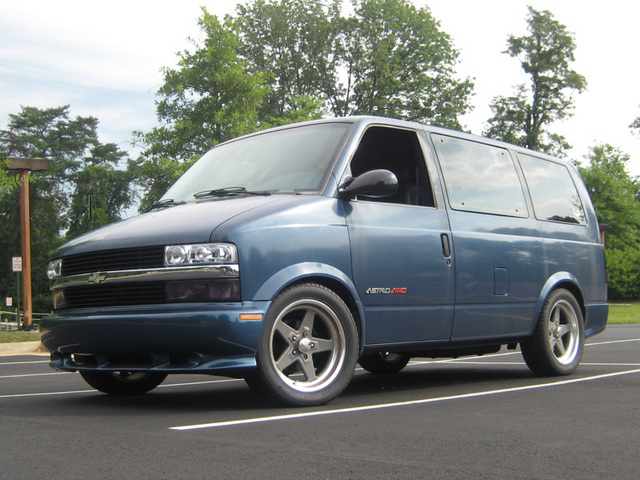 Then after a while the bug kicked in, and I came up with a themed idea… what would a Denali version of an Astro van be like? Big wheels, lowered stance, custom grill, black leather interior, etc. I wanted to make the van a sport luxury cruiser with looks. So I swapped out the Boyd's for a pair of American Racing Torqlite 18x7 Rims. These are hands down the best rims I have ever bought for a car. They are Gray powder coated in the center, and have a polished lip that is powder coated clear. This means wipe them down with a sponge and they are as good as new compared to dealing with Billet Aluminum rims that you have to really kill yourself to look decent. Then came lowering the van. I decided to go with 2.5” drop leafs for the rear, belltech drop shocks in the rear, belltech rear sway bar kit, and just turned the screws down to the lowest setting on the front. While all of the suspension happened I worked in a new Volant cold air intake, High Flow magniflow cat, and a Gibson catback that I later modified to fit my new bodykit. I decided to go with a Wings West bodykit that I picked up from a fellow astro member. The Wings West Bodykit is my favorite kit for the van since it didn't look to over the top and would ditch the diving board rear bumper. I swapped out the stock sealed grill for the composite style grill and painted it black. 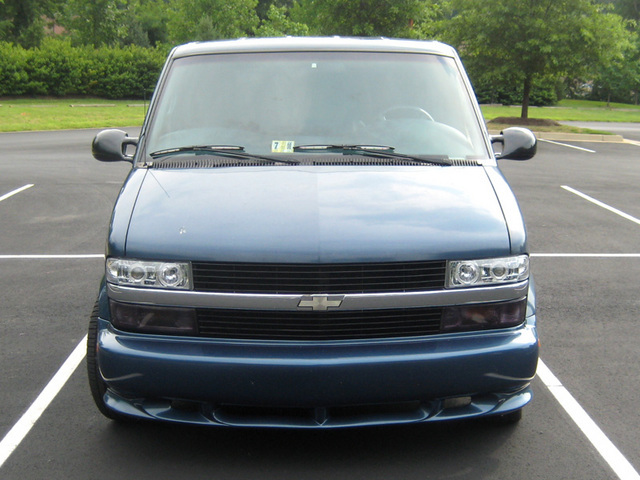 I upgraded to Angel Eye style projector headlights at this point, tinted the crystal clear turn signals, and swapped on some LED style rear taillights which I also tinted with VHT. The interior I went to a junkyard and pulled lighted sunsvisors, center console, wiring harness, and a few other bits from a top of the line Astro's interior. 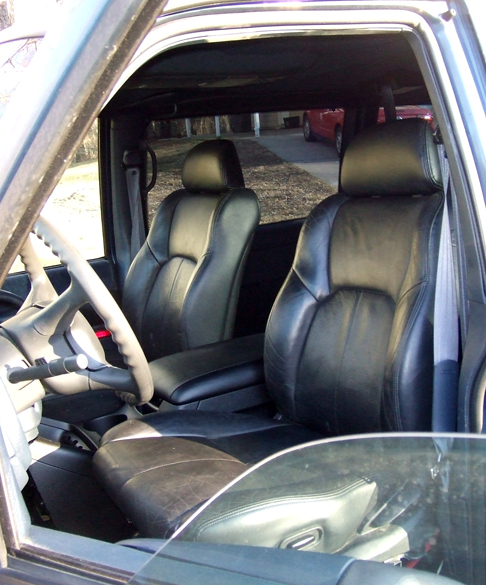 I stripped my interior down to the bare shell and dynamated the entire interior. Put new A.C.C. black carpet down. I decided since I was going for luxury to switch the stock seats out for black leather Eclipse seats for the front, and a Dodge Durango bench to replace the middle seat. I welded these to the stock bases. Lastly I picked up a Expedition center console and fit it in between the seats with some modifications and vinyl dye. 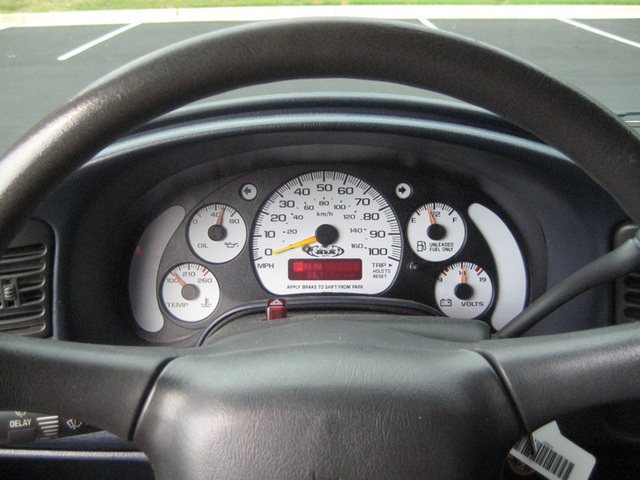 At this time I slipped in some white face gauges as well. I always liked a good stereo, but I wanted to do something stealth so thieves wouldn't get excited. 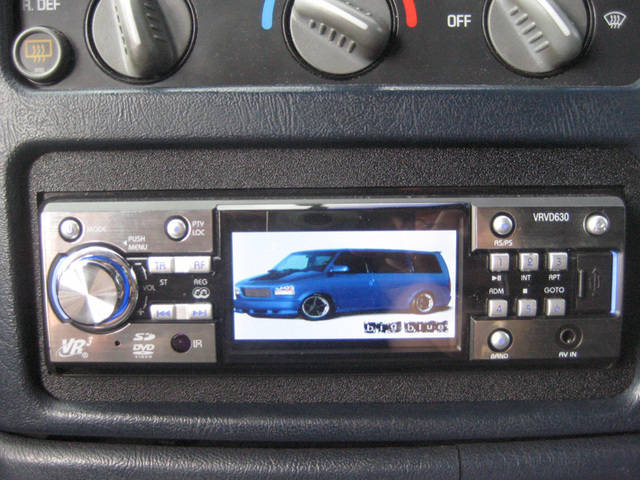 The headunit is a VR3 headunit that has a 3.5 LCD and can play about 440 saved mp3's on a SD card. Speakers are 6.5 Infinity Kappas in doors, 6x9 Infinity Kappas rear doors, Polk Momo 4x6 Plates in the pillars, Eclipse amp, and a 8” JBL sub down-firing in the center console. The van has been my daily driver for the last 3 years, and it has served great for road trips, home improvements, mini tours, and has not had any major repairs needed (knock on wood). It has 65,000 miles on it now, and it's got a lot left in it. Future mods are at the bodyshop now and include a custom painted carbon fiber hood, wingswest side skirts, and a Cats Eye Grill. I plan on finishing the center console off in the spring with a 7” LCD hooked to the headunit and a rear view camera. 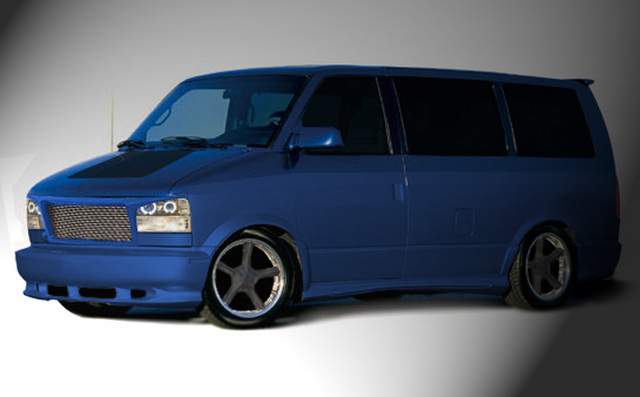 The only other dreams I have for the van would be to do a custom air suspension, but it's fine for now. Thanks to my family, friends, girlfriend, and fellow astrosafari members helping me along the way.